Contract management is the administration of a legally-binding agreement between two or more parties. The contract manager develops the contract document from a written request for offers, vendor responses and negotiations with bidders. After the contract is signed, the contract manager's job is to ensure compliance with what is written in the contract. 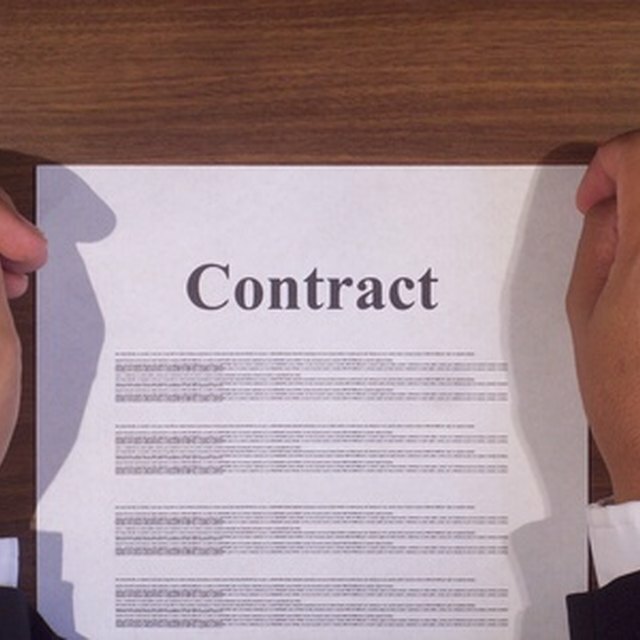 A clear, comprehensive and enforceable contract is essential in order to successfully remedy any problems that occur during execution of the contract, including the common contract management challenges that are discussed in this article. The best way to avoid the challenge of work not being what is expected is to clearly define your expectations in your contract. Business requirements are usually documented in a Statement of Work. Involve people at all levels of the business in establishing requirements and writing the Statement of Work, including end users. Do not use jargon. Define all business terms and acronyms. In your contract, clearly define the scope of the project. Ensure that the negotiated budget and timeline are realistic. Establish a method by which to track the budget and timeline to ensure that you are on target. In this way, you can monitor the budget and timeline constantly throughout the project. It is essential to name a project team on both sides of the contract who are empowered to carry out the work. An Organizational Plan should be included as part of the contract requirements. In the contract, define titles, if not individuals, to work on the project and state skills or certifications that may be required. The Organizational Plan will expand on this, including an organizational chart of all project team members. State in the contract that a Communications Plan will be put into place. This plan should include what is required in terms of status updates and routine meetings, as well as address how communication will occur with other parts of the organization, especially those people working on dependent projects. Structuring the contract to ensure that risks are identified and reviewed weekly by the team is the best way to prepare for change. The contract should include requirements to assess risk and identify solutions to mitigate risk. In addition, a formal change control process should be included in your contract. Define methods and processes in your contract to reward/penalize based on compliance with the contract. Define methods to measure progress. Set exact acceptance criteria. This clarity in the contract will ensure that both parties understand what is expected for acceptance and payment. Nancy Smith has been writing both fiction and non-fiction since 1986. She has published short stories including: "Immaculate Conception School for Girls," in the "Metis" quarterly. She has sold multiple screenplays, including "Privateer" to River Pirate Productions. Smith has 28 years of management, planning and technical writing experience. She earned a master's degree in administration and planning at the University of Texas at Austin.